The OnePlus 5 is one of the most anticipated devices of 2017 and is expected to fill the success of OnePlus 3 and 3T. OnePlus will be announcing the OnePlus 5 at some point in the summer, the phone will give a tough competition to Samsung Galaxy S8 series and Xiaomi Mi 6. 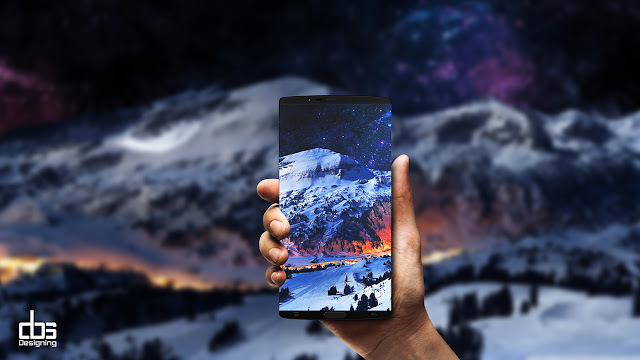 While the company has officially confirmed the name of the phone, the device has been run through the AnTuTu benchmark test. As a result, AnTuTu was able to post and confirm the specs for the handset. 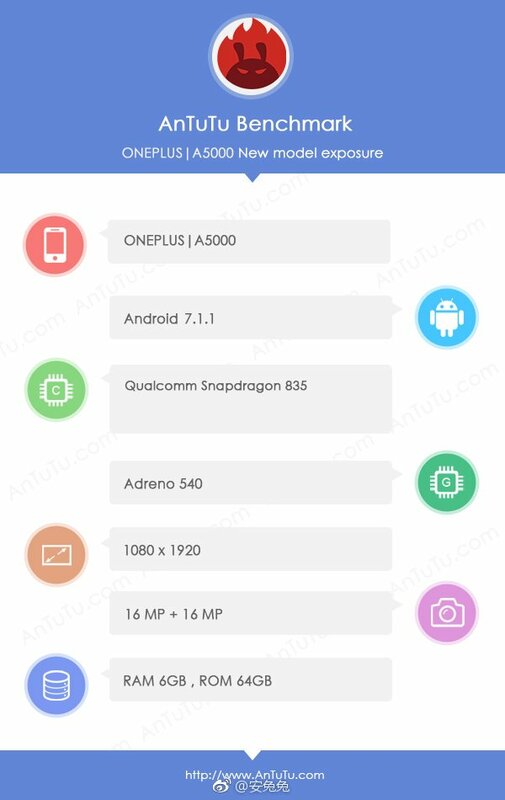 From the listing we can tell you that, the OnePlus 5 will bear a model number A5000, which was rumoured earlier as well. The device will feature Qualcomm's Snapdragon 835 chipset with Adreno 540 GPU. Under the hood you will find 6GB of RAM along with 64GB of internal storage. A 16MP + 16MP Dual camera setup on the rear and Android 7.0 will be pre-installed.